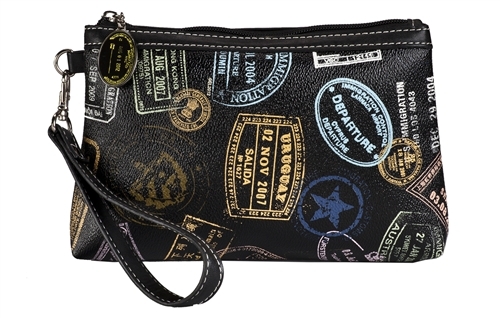 Colorful and fun travel themed print printed on gorgeous leather like black PVC. Detachable wristlet to double as a clutch. 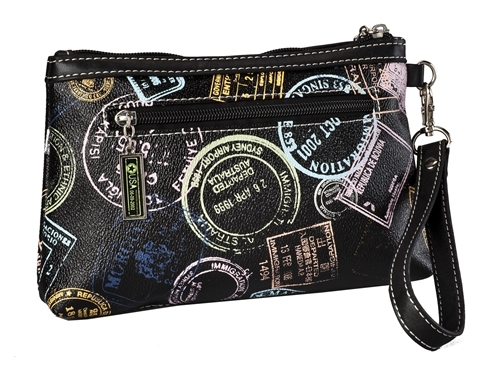 Top zip entry and exterior back pocket accented with Sydney Love enamel travel stamp zipper pulls. Spacious interior with side wall zipper compartment. 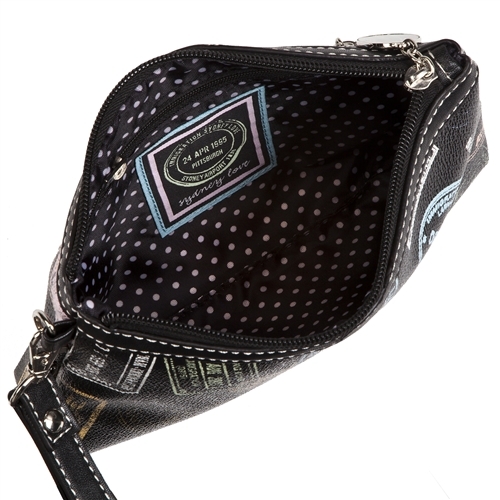 Fully lined with Sydney Love signature polka dot fabric.